On November 23, 2018, Pauliina Airaksinen-Aminoff, MA (Education), will defend her dissertation completed under the Aalto Executive DBA (Doctor of Business Administration) program. Interpersonal conflicts occur everywhere, in every organization, every day. And these conflicts can only increase with the transformation of business models, mergers and acquisitions, organizational turnarounds, and digitalization and robotics. The dissertation by Pauliina Airaksinen-Aminoff investigates how leaders orient themselves when they encounter interpersonal conflicts and asks how they negotiate engagement and avoidance when called upon to resolve and manage such conflicts. It is drawn from a study carried out using action research to observe the development of three different leaders over different periods of time. In particular, it explores how leaders can be supported in their self-development and learning on conflict management through coaching, using the underlying concept of transformational leadership. Based on the research findings, the study argues that transformational leadership as a concept is an unattainable goal for most leaders. But it is an important ideal, and the style of transformational leadership can be taught and learned. Adopting transformational leadership styles and striving for the ideal will not only greatly benefit the individuals involved in conflict situations, it will also benefit their organizations and the overall wellbeing of the people in them. Based on the study, leaders’ development needs in the field of conflict management are evident; conflict evasion is typical due to the discomfort of conflict situations and leaders need practice and a mindset change to face them. Future leaders’ pivotal skills include understanding people, their feelings and behaviors together with the willingness to develop their own self-awareness. 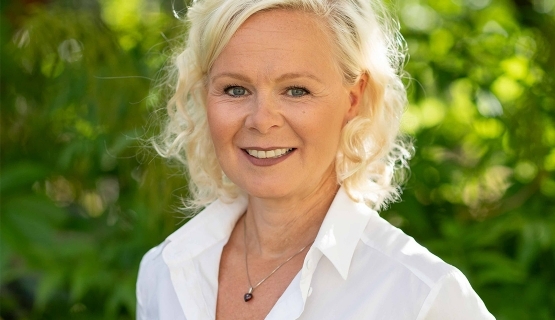 The DBA dissertation of Pauliina Airaksinen-Aminoff, MA (Education) ”Learning to Resolve Interpersonal Conflicts More Efficiently through Transformational Leadership: A Study on Coaching" is examined by Aalto University School of Business at 12.00 on Friday November 23rd, 2018 in the Aalto EE’s premises at the main building of the Aalto University School of Business. Address is Runeberginkatu 14-16, Helsinki. Professor Henrikki Tikkanen of Aalto University School of Business acts as the custos and Assistant Professor Joel Hietanen of Helsinki University and Dr. Kerttu Kettunen of Turku School of Economics are the opponents. What is the Aalto Executive DBA - Doctor of Business Administration program? The Aalto Executive DBA (Doctor of Business Administration) program is designed for experienced executives who wish to complete a doctoral degree alongside their work. This working-life oriented program involves applied research. The DBA, which is recognized around the world, is offered by several leading institutions, such as Harvard Business School. Like the Aalto Executive MBA and Aalto MBA degree programs, the DBA is not part of the Finnish degree system. However, it is conferred by the accredited Aalto University School of Business. The Aalto Executive DBA program can be completed, alongside work, in three to six years. This fee-based program was launched at the beginning of 2013. Henrikki Tikkanen, Professor of Marketing at Aalto University, is the academic director of the DBA program. Tha dissertation can be read in digital format from Aalto University publication series. Aalto University Executive Education offers high-quality leadership development services (Aalto EE), professional development services for experts and managers (Aalto PRO), and creative solutions covering the whole life-cycle of entrepreneurship (Aalto ENT). Aalto University brings to our offering a multidisciplinary approach, together with innovative learning methods; this provides a unique combination of practical expertise with latest research. Aalto University Executive Education’s strengths lie in its global operating model and diverse offering. In addition to Finland and Singapore, we offer education programs in Spain, South Korea, Indonesia, Iran, China, Lithuania, Poland, Sweden, Taiwan, Tanzania, Russia, Vietnam, Estonia and the United States. Aalto University Executive Education holds three respected accreditations: AACSB, AMBA, and EQUIS certificates. This places it in the top 0.5 per cent of the world’s institutions.